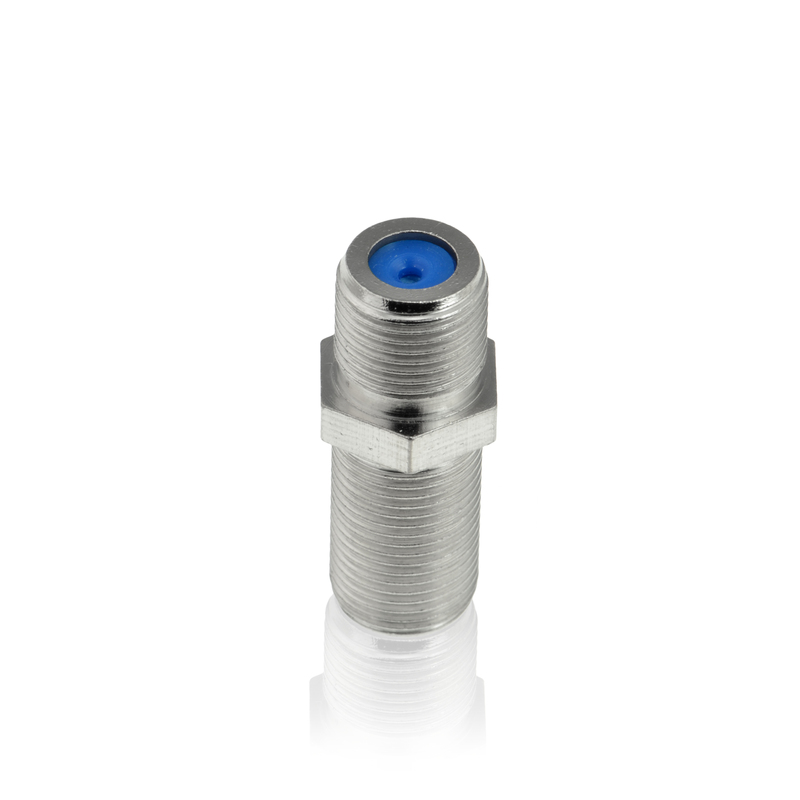 3GHz connectors are built with nickel-plated brass for lasting performance, while its low-profile adds a mere 1.02″ to your high-frequency cable run. 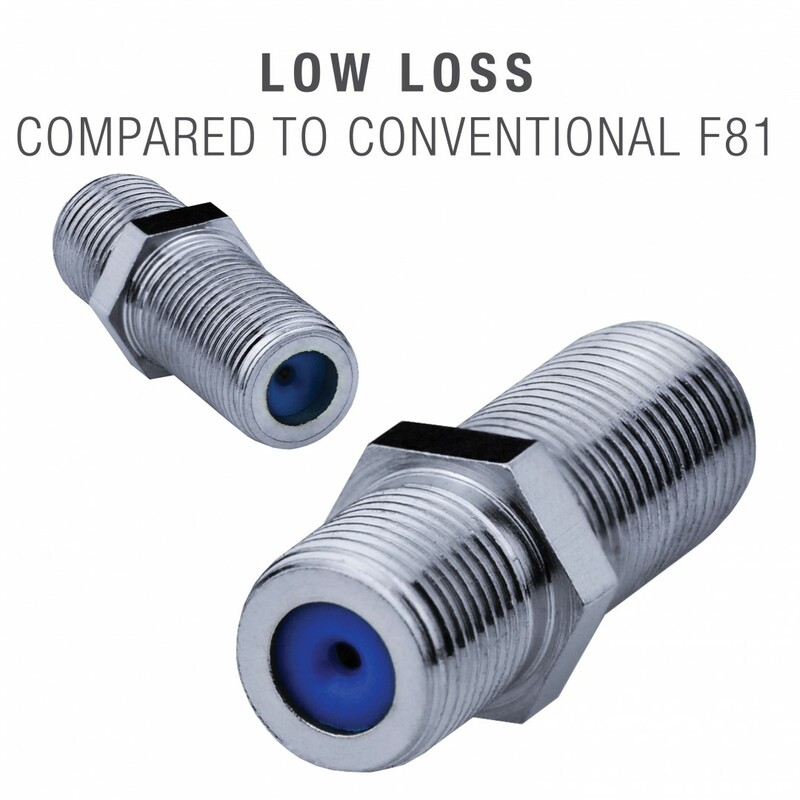 Achieves high-quality return loss & insertion loss specifications, when compared to conventional F81 connectors. Flat port ends on each side of the connector ensures moisture ingress protection & maximum rejection of the hum/static from RF & EM interference. Accommodates most Male F-Type connectors & wall plates for indoor & outdoor settings alike. What is the connector used for? It connects 2 F-Pin cables, and extends the connection of a cable box, TV, satellite receiver, VCR, cable modem, off-air antenna or other F-Type application. Do I need existing cables to use this? Yes, the connector requires 2 F-Pin digital audio/video cables to connect to. Do I need more than 1 connector? No, only 1 connector is necessary. However, you can use more than 1 if you want to further extend your cable connection (this requires extra cabling). How do I know if I need this connector? This connector is meant to connect multiple F-Pin cables, which extends the length of your connection. If you’re existing cable connection is too short, then this connector is right for you.